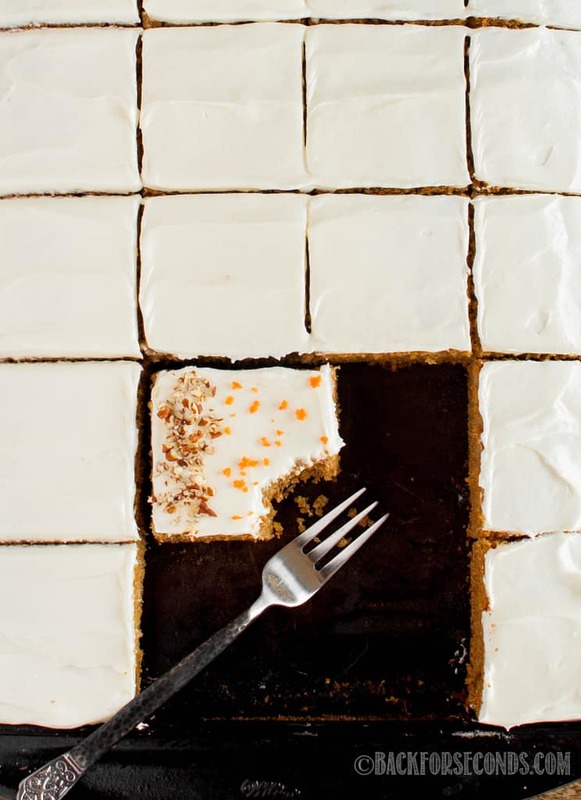 This is the Best Carrot Cake Sheet Cake Recipe ever! It’s moist and fluffy, topped with the most incredible cream cheese frosting! Great for Easter dessert! Carrot cake seems to be one of those “love it or hate it” kind of desserts. Then there’s the raisins or no raisins argument, and nuts or no nuts controversy. 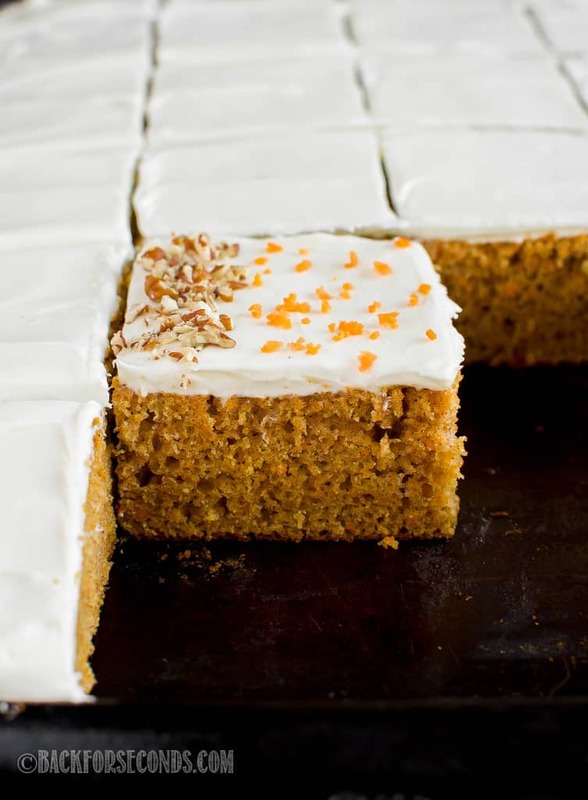 However, this carrot cake recipe is for everyone! 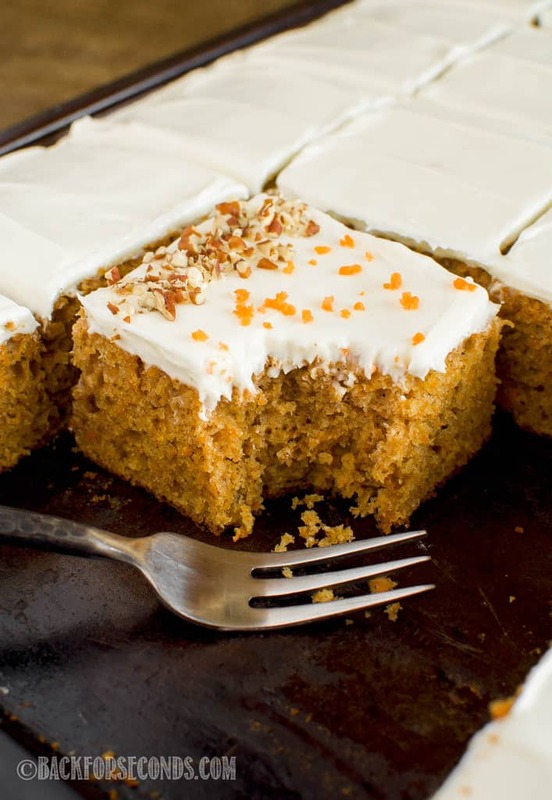 It provides a perfect basic carrot cake that you can easily add nuts and raisins (or pineapple and coconut) to make you favorite version of carrot cake! Or leave it plain like I did! 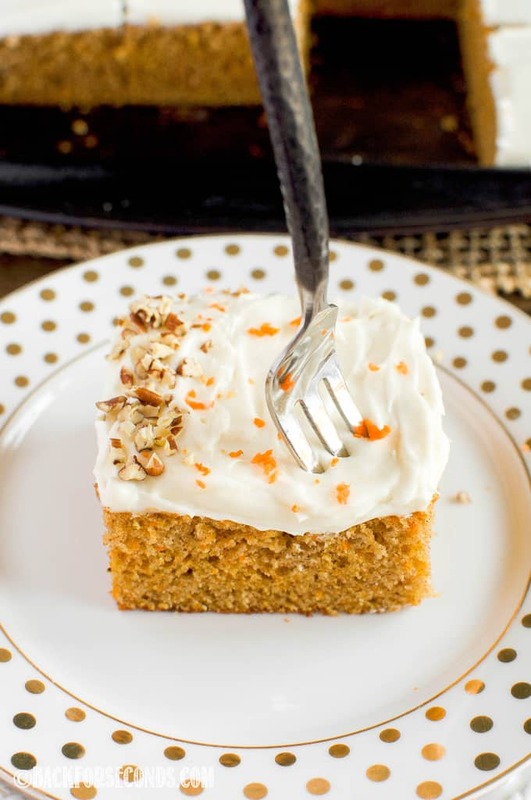 Paired with this amazing cream cheese frosting, this right here is our FAVORITE carrot cake! To be honest, I have always loved carrot cake, but for some reason I was embarrassed to admit it as a kid! Has anyone else ever been embarrassed to admit they like a certain kind of cake?? Weird, I know. My favorite way to eat it, is exactly as written in this recipe. But I am not offended by raisins, pineapple, or coconut in my carrot cake. No nuts though, please. I like a few on top as a garnish, but please to add them inside the cake. It’s just not my thing. I really thought, when I made this cake, that my kids would turn their noses up at it and not eat any. No big deal, I was just planning to give it away to friends or neighbors. 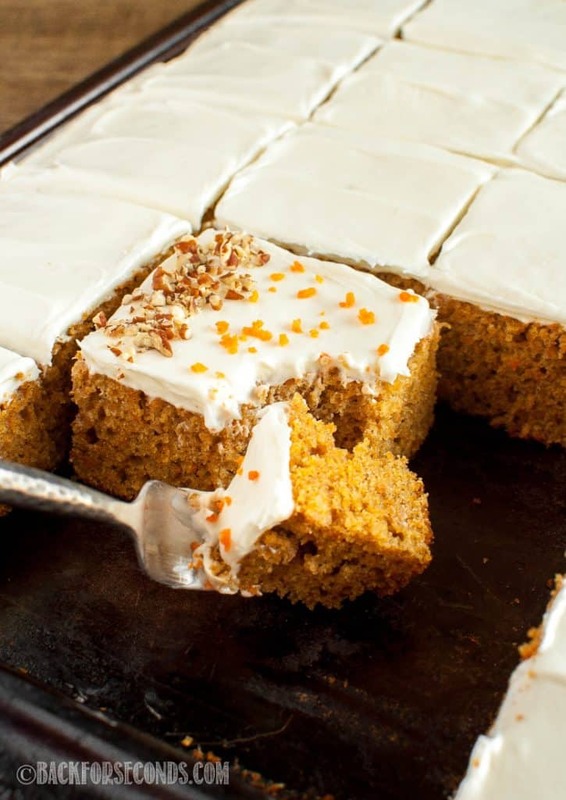 My kids all LOVED this carrot cake! They kept trying to find reasons to have another slice…or they just snuck pieces when I wasn’t looking. My 3 year old was quite partial to the frosting, and would have licked it off the entire cake if I let him. It seriously is so stinking good! Do I have to make it into a sheet cake? Nope! 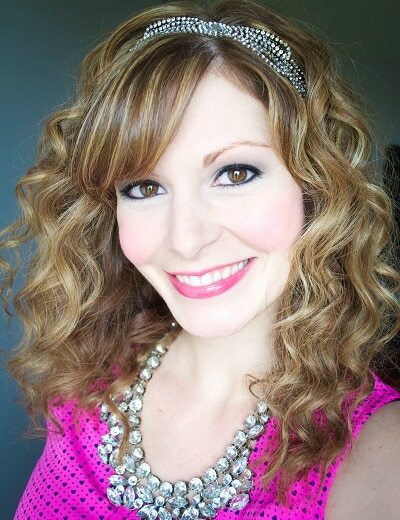 You can use this recipe to make a 9×13″ cake, a 2 layer 9″ cake, or a 3 layer 8″ cake! The choice is yours! Is this enough frosting to make a layer cake? If you plan to make a layer cake, double the frosting recipe. This frosting is incredible but it won’t pipe well, so keep that in mind. Can I freeze this cake? Yes! Wrap the cooled cake in plastic wrap and freeze for up to 3 months. Let sit a room temperature to thaw, then frost and enjoy! 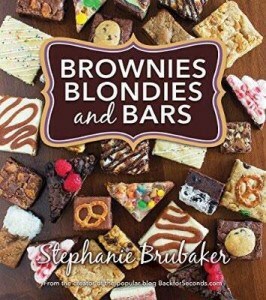 GET MY COOKBOOK, BROWNIES, BLONDIES, AND BARS HERE! Easy and SPECTACULAR Easter Treats! FOLLOW BACK FOR SECONDS ON SOCIAL MEDIA! 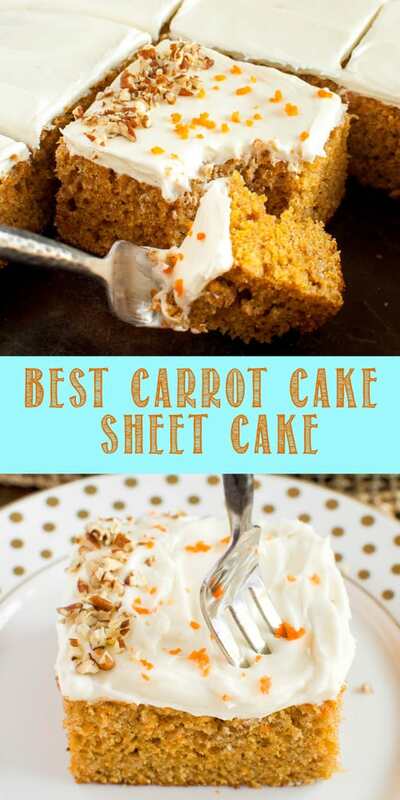 This is the Best Carrot Cake Sheet Cake Recipe ever! It's moist and fluffy, topped with the most incredible cream cheese frosting! Great for Easter dessert! In a large mixing bowl, beat together oil, sugars, and vanilla. Mix in eggs, one at a time. In a separate bowl, whisk together flour, cinnamon, baking soda, baking powder, salt, nutmeg, ginger, and cloves. Add half of the butter milk to the oil and sugar mixture and mix well. Then add half of the flour mixture, mixing slowly. Repeat until everything is mixed well. Stir in grated carrots and pour batter into well greased 12x18x1" sheet pan. Bake 16-19 minutes or until tester inserted into the center of the cake comes out clean or with moist (not wet) crumbs. Allow to cool completely. In a large mixing bowl, cream together butter and cream cheese until very fluffy and smooth. Add vanilla and sugar and beat on low until incorporated. Beat on high for 3 minutes or until very fluffy and creamy. Store covered at room temperature up to 24 hours or refrigerated for up to 5 days. *As an Amazon Associate I earn from qualifying purchases. There is no added cost to you. Thank you for helping support us so we can continue providing you with free recipes! I think I’m missing something. Where is the recipe? If you scroll down past the photos, it’s there at the end of the post. Hope you enjoy! How long should a 13×9 cake bake? I would start testing at 25 minutes. Enjoy!